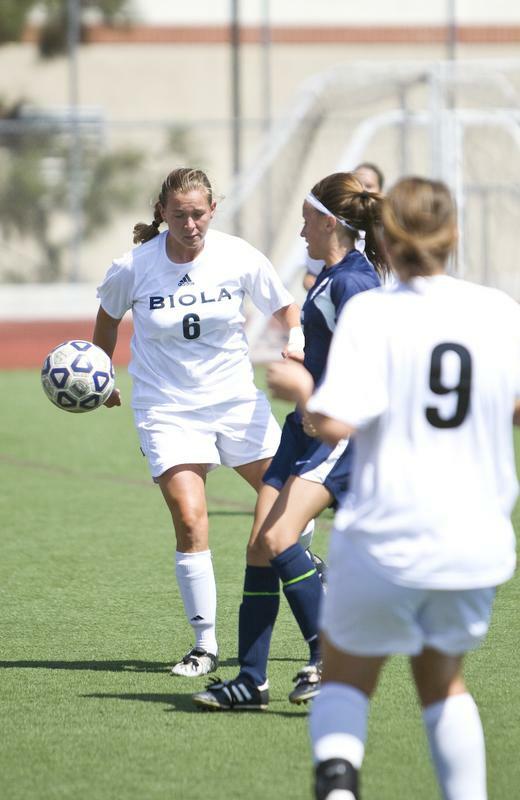 In a time when most seniors are panicking about post-graduation stress, senior Gillian McPherson is preparing to play soccer semi-professionally in Austria for one year after graduation. The Canada native is excited to live out her faith while playing the game she loves through an organization called Surge-GPI (global player initiative). She heard of this opportunity through a family friend who recommended that McPherson should be the first female applicant of the international program. While Surge-GPI has had female soccer players go through the program, they have never accepted a female athlete from outside of Austria. “Being one of the first female applicants is exciting to me,” said McPherson. “I have always enjoyed being the minority. I thrive on new situations and making a name for myself. It will be fun to see what name God will make for me in Europe,” said McPherson. 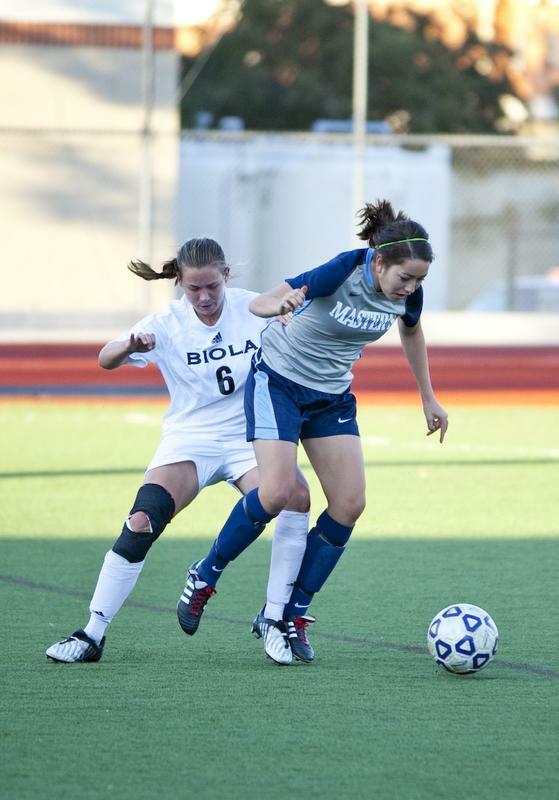 During her freshman year, McPherson went to Japan with Biola’s women’s soccer team and spread the message of Christ through soccer, which opened her eyes to new missions opportunities–and the realization that she could pursue her passion of soccer while on the mission field. 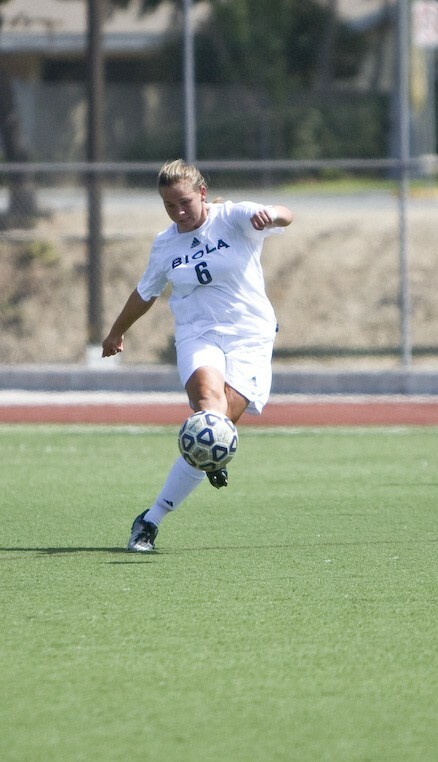 While in Austria, McPherson will be serving in various ministries in addition to playing semi-professional soccer. McPherson will be practicing three to four times a week and will be playing one game per week. Bible studies, traveling and ministry opportunities such as witnessing in local coffee shops will keep McPherson busy when she is not playing soccer. McPherson says she is most excited to see her growth in Christ through this opportunity and to use her passion to spread the gospel. “I expect that this is a year I am going to change a lot,” McPherson said. “I am going to learn a lot about myself because I am going to be uncomfortable a lot of the time”. In order to prepare for the trip, McPherson is learning German, as well as learning how to adjust her style of playing soccer to fit Austria’s style, which includes more skill and finesse than American soccer. As if playing semi-professional soccer in Austria weren’t enough, McPherson and Austria’s women’s team will travel to Germany for two weeks during the FIFA Women’s World Cup 2011. McPherson will be leaving for Austria on June 11, two weeks after graduation. She will reside in dorm-style international student housing in Vienna and may have the opportunity to teach English. To gain financial and spiritual support, she has sent out support letters to close friends and family. Written by Kayle Fields. For more information, Jenna Bartlo, Media Relations Coordinator, can be reached at 562.777.4061.